There's been a somewhat surprising scarcity of animal-themed Super Bowl teasers—and actual spots—this season. (RIP, Budweiser puppy.) But Honda and RPA have rounded up some talented sheep to help change that. The automaker on Monday released its 2016 Super Bowl spot, advertising the 2017 Honda Ridgeline, coming this spring. And one feature of the truck in particular will have prospective buyers—and barnyard animals everywhere—singing its praises. Quite literally. Yes, the new Ridgeline, has a truck-bed audio system that uses so-called "exciters" to turn the whole bed into a giant outdoor speaker. 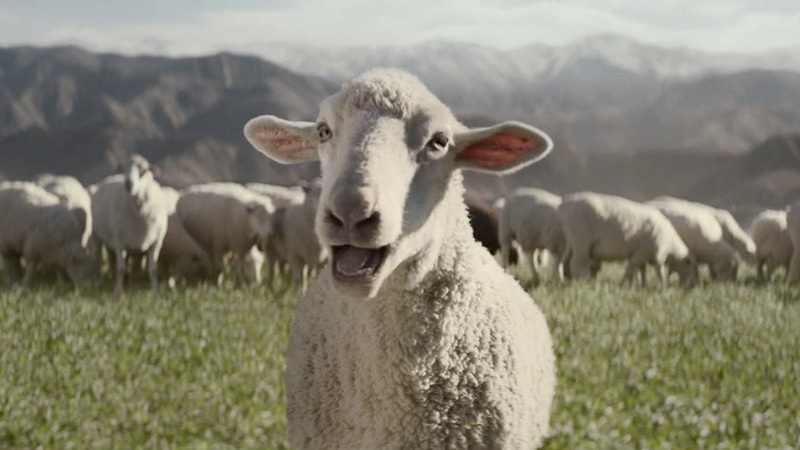 Honda is pushing that single feature in the Super Bowl campaign, including the 60-second spot in which sheep belt out Queen's "Somebody to Love," choir style, when the farmer isn't around. "It's a very unique feature," Honda's avp of marketing, Tom Peyton, told Adweek last week in an interview. "Nobody else has it. And it's a little tough to communicate—although we will in some advertising later this spring, when the truck's at the dealers. It's not actually speakers. It's 'exciters' that makes the whole bed a speaker. It's pretty cool. … It would make a great tailgate vehicle." That particular Queen song got a nice revival in December, when Jordan Smith performed it on NBC's The Voice in December. But Peyton also deadpanned: "It was the only song the sheep knew." The humor is broad and cartoony, which Peyton says is just right for the environment. "We aren't the first come out with dogs or horses or puppies [on the Super Bowl]," he says. "But it is the one property where people truly tune in to see the commercials. And this is certainly playing to that type of content they're looking for." Honda has only sat out a couple of Super Bowls over the past decade, and Peyton says it remains a solid investment if you have something special to sell. "You only make the trip to the big game if you have a message that is noteworthy," he says. "And we firmly believe our return to the midsize truck market with a new, restyled Ridgeline is a great opportunity to get that message out. And we certainly think an investment in the Super Bowl is worthwhile." Title: "A New Truck To Love"